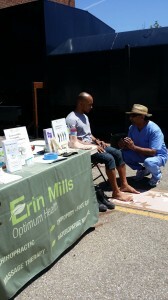 We had a Chiropodist, Naturopath, and Chiropractor represent us at the event. We were very impressed with the employees at the Mississauga Kubra location. The culture at the office was positive, friendly, curious, and interested. They had great questions regarding how to function better at jobs that require lots of prolonged sitting. Dr. Callum Peever answered lots of questions regarding sitting postures at a desk as well as discussed posture while doing a quick posture assessment for the employees. Dr. Aisling Lanigan discussed nutritional strategies and had some treats for the employees. Kiran Dave was able to discuss foot health and do quick gait analysis discusssions with the employees as well. If you are setting up a health fair in Mississauga, contact us. 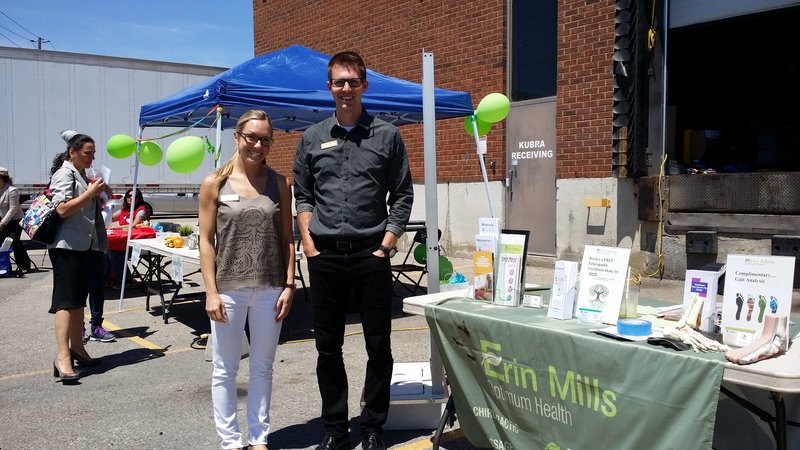 Our wellness clinic enjoys attending these events and would be happy to answer questions and educate your community on reaching their optimum health!